Is there already a possibility to get a free flight or attached camera through the console or something like that? I would still love to do a official musicvideo using Grip in my freetime. 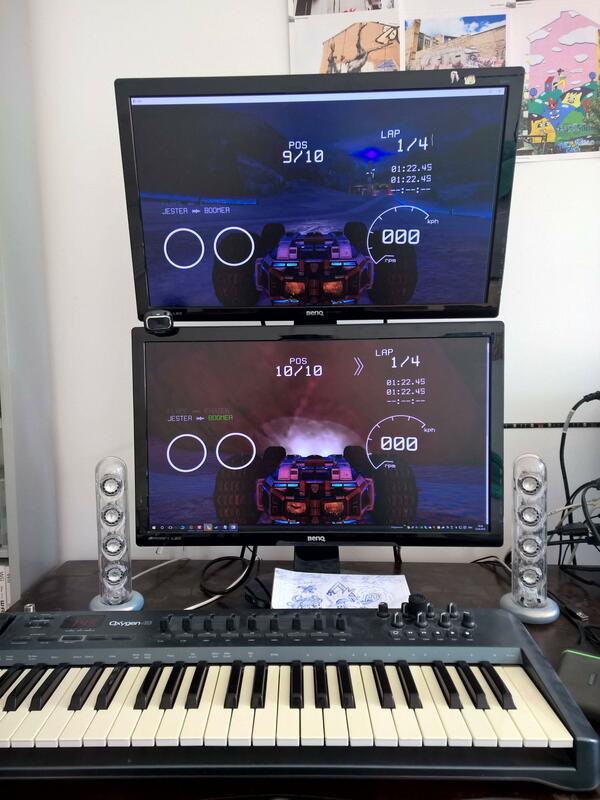 I've tried playing splitscreen on my monitor setup with -ResX=1910 -ResY=2100 -windowed. The HUD is a bit weird, but still very playable. Cool! I think it would feel a lot better if the car sticks a little more to the ground, so that you can keep the controle even in bumby environment. Especially if you are going fast.